One of the largest topics in child custody cases is whose school zone the parties will use. It’s often one of the last things discussed in mediation, and it always has the chance to unravel every agreement. Simply put — every parent likes to have his or her kids in their school zone. But this is not always possible. In fact, it’s difficult to do, unless both parents agree to remain in the same school district. School zones and child custody are somewhat intertwined. And determining this often starts with deciding on a parenting plan. Here in Florida, courts have gotten away from using the term “custody.” Instead, courts issue parenting plans based on twenty factors, all of which center on the best interests of the child. These factors are quite broad. At the top is the extent to which each parent facilitates a relationship between the children and other parent. Also important with Courts is the ability of each parent to act on the needs of the children, as opposed to themselves. Another important factor is the extent to which each parent keeps the other parent informed of the child’s academics, friends, and daily activities. Based on these things, the court — or the parents themselves — decide upon a Parenting Plan. From this, picking a school may be easy — use the school district for the parent who has the children most of the time. But what should parents do if they equally share their time with the kids? Or what if the child has special needs? This is where the difficult questions always arise. And they should be answered, because the parenting plan requests this information. First, look to see whose school district has the better schools. Look at the Florida Standards Assessment scores, or similar statewide tests. Talk with other parents. Interview or meet with school principals. Using this, look at which schools provide the best education. Second, consider the age and needs of the child. Is this a child headed to an IB program? Are there special needs, such as a child on the autistic spectrum? Third, look at practical things, such as transportation. Provide this information to the other parent. If she or he disagrees, and you need to go to court, you will be better prepared to address this with a judge. 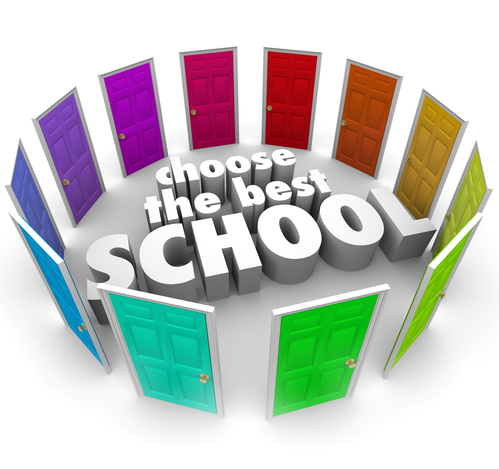 I have seen multiple mediation sessions slow down when it comes to choosing a school district. It’s better to have some answers before you make your case.